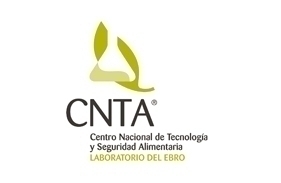 Qualified and Registered as Andalusian Agent of Knowledge in the section Accredited Technological Knowledge Agent. Authorization from the Department of Health and Social Policy of the Region of Murcia. Acknowledgement of the accreditation from the Department of Health and Social Policy of the Region of Murcia. International Proficiency Testing in pesticide residues in fruits and vegetables, pesticides, herbicides, polycyclic aromatic hydrocarbons and volatile compounds, macro and micro components in water and contaminants in food. OFFICE FOR THE QUALITY OF SERVICES, S.A.L. International Proficiency Testing in macro and micro components in waters. International Proficiency Testing in pesticide residues in fruits and vegetables. International Proficiency Testing in oils and fats in water. International Proficiency Testing in food microbiology. International Proficiency Testing in pesticide residues in fruits and vegetables and macro and micro compounds in irrigation water. International Proficiency Testing in macro and micro components in soils. International Proficiency Testing in microbiology and on-site analysis. International Proficiency Testing in fertilizer analysis.